The porch ideas Dave and I share here should do the trick. With cameras in hand, Dave and I have been taking to the road to bring you some wonderful front porch pictures and ideas. 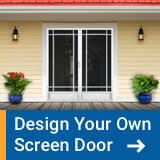 We hope to get to your neighborhood one of these days to show off porch and home ideas from your locality. Southern charm, Spanish architecture and the oldest city in the US - that's St. Augustine. With its rich history and southern appeal near sandy beaches, you'll enjoy the porch ideas in this friendly town. Mary and I spent an afternoon here and thoroughly enjoyed walking the streets and snapping pictures. If you have the chance, take a day or two to enjoy this richly blessed southern city - St Augustine, Florida. You won't be disappointed when you visit this Texas Hill Country town. 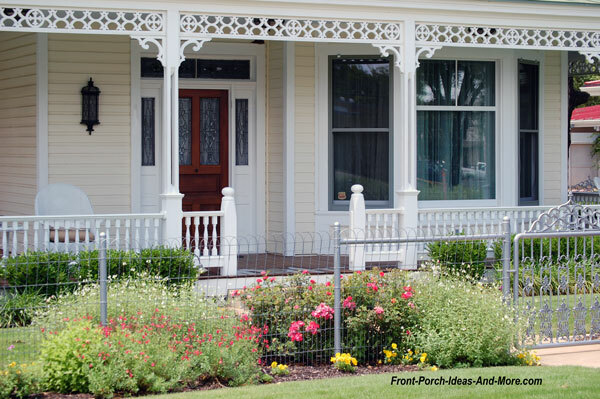 Plenty of fabulous front porches, lots of history, and that good all Texas hospitality. We know you'll enjoying seeing our favorite porch sites - Fredericksburg, TX. Charles Kuralt said of Madison that it is "The most beautiful river town in America." Mary and I fell in love with this quaint but vibrant town along the Ohio River. Madison overflows with beautiful porches, an amazing downtown area, and events and festivals throughout the year. We found picturesque porches on every street along with some of the nicest people we've encountered. Enjoy our pictures covering spring and Christmas - Madison, Indiana. 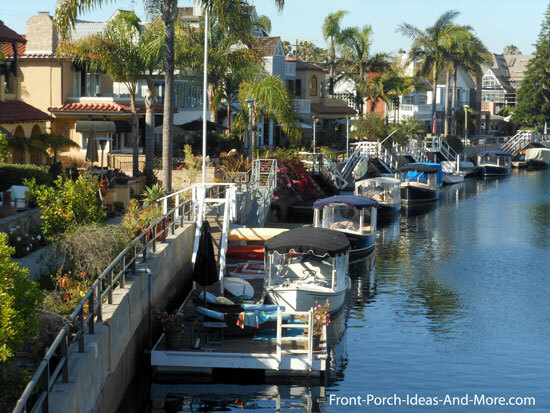 Naples, California, is located near Long Beach and could easily remind one of Venice Italy with its picturesque canals. Homes lining the canals have beatiful southern California porches and patios; all of which can give you lots of ideas. View our photos and discover this amazing community - Naples, California. Newport Beach is an amazing California community and host to television shows like the OC. 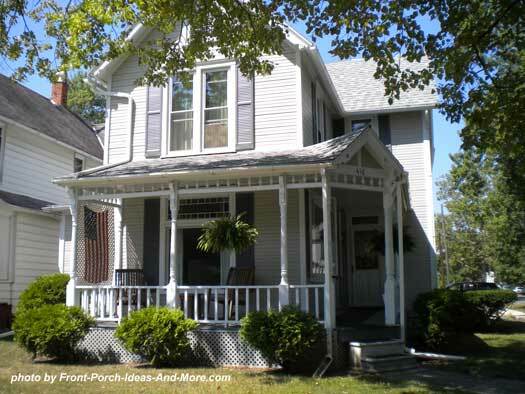 It also has beautiful front porches too! Not only do they have lots of beach activities to include sailing, fishing, and more, but also magificent homes and neighborhoods to explore. 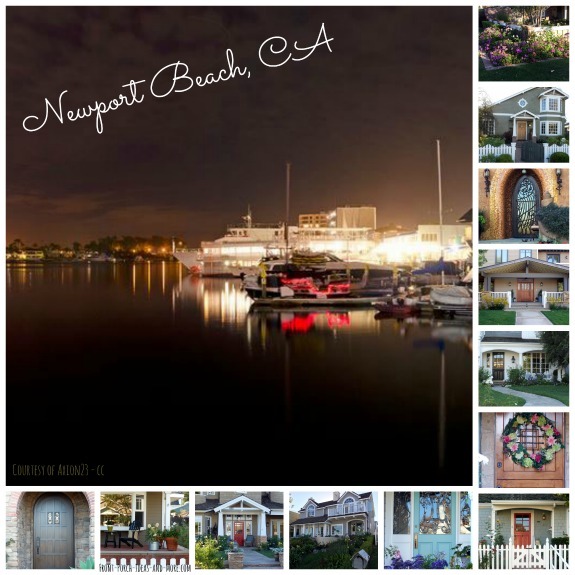 View our photos and discover this amazing community - Newport Beach, California. South Pasadena, California, is located near Los Angeles and is a quaint community with lots of history and beautiful front porches nestles on tree-lined streets. 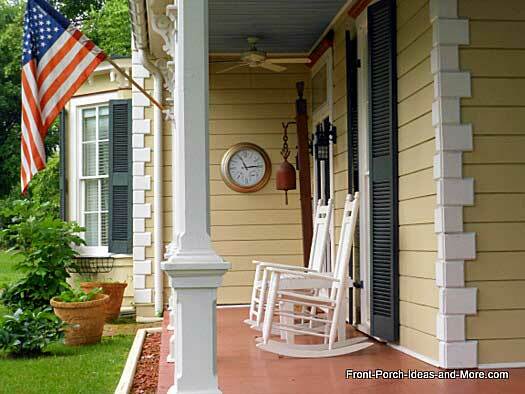 We share photos of these lovely porches to give you some neat ideas for your porch. 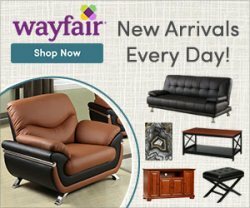 You will be surprised at some of the unique and wonderful ideas you'll find. View our photos and discover this amazing community - South Pasadena, California. Holdrege, Nebraska is located almost in the geographical center of the U.S. More importantly, it is a wonderful community with quaint homes and picturesque front porches. The residents of Holdrege take great pride in maintaining and decorating their porches. You can get a myriad of porch ideas to include some amazing porch roof and column options. View our photos and explore this midwest community of Holdrege, Nebraska. Rancho Palos Verdes is like an oasis in the metropolitan area of Los Angeles. 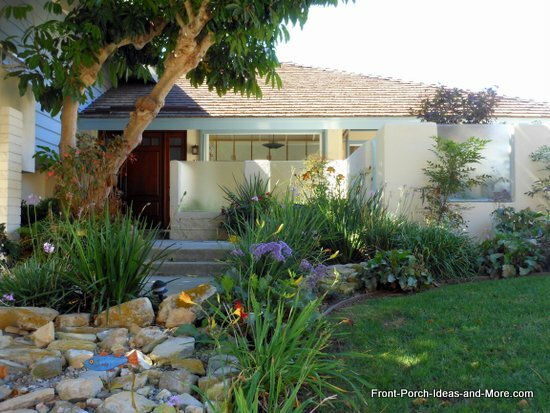 Somewhat mountainous with a rugged coastline and beautiful beaches, this southern California community can boast about its beautiful front porches. We found porch ideas you can use on your front porch or yard no matter where you are located. View our photos and explore the community of Rancho Palos Verdes, CA. Stroll along Lexington streets and you'll find plenty of beautiful front porches. You might even discover the one with a cannon perched in a corner. We found ideas for sawn balusters, privacy porches, and a bit of civil war history along the way. 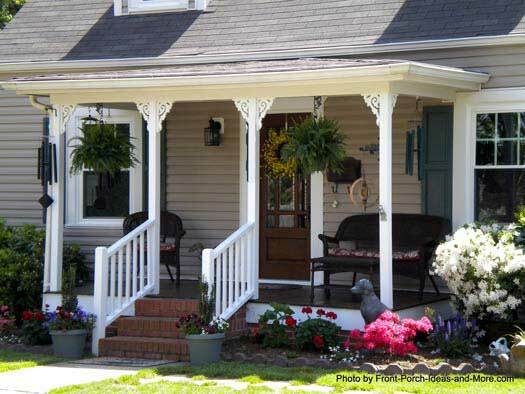 See our fun front porch ideas from these Lexington, VA Pictures. Bell Buckle TN is off the beaten path but well worth a stop. Really small southern town hospitality at its finest. 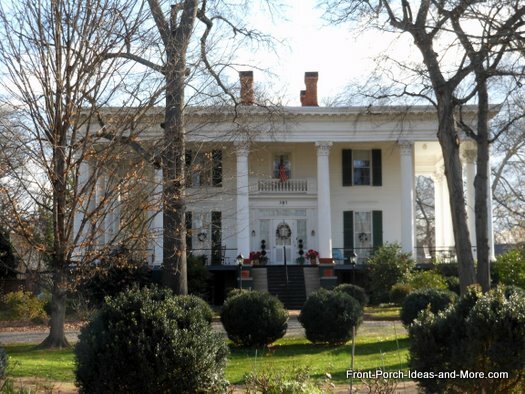 We were there during the Christmas season and got a real taste of southern charm. 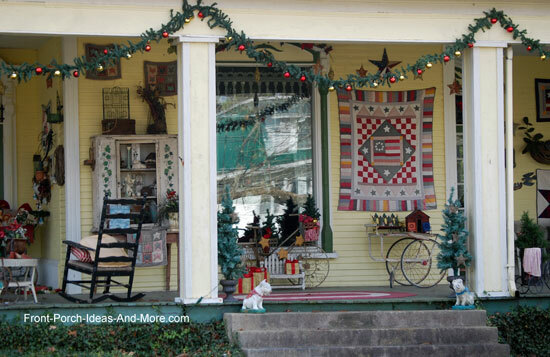 As small as it might be, Bell Buckle has some happening front porch ideas and goes all out for the holidays. See our photos and take in the fun from Bell Buckle, Tennessee. 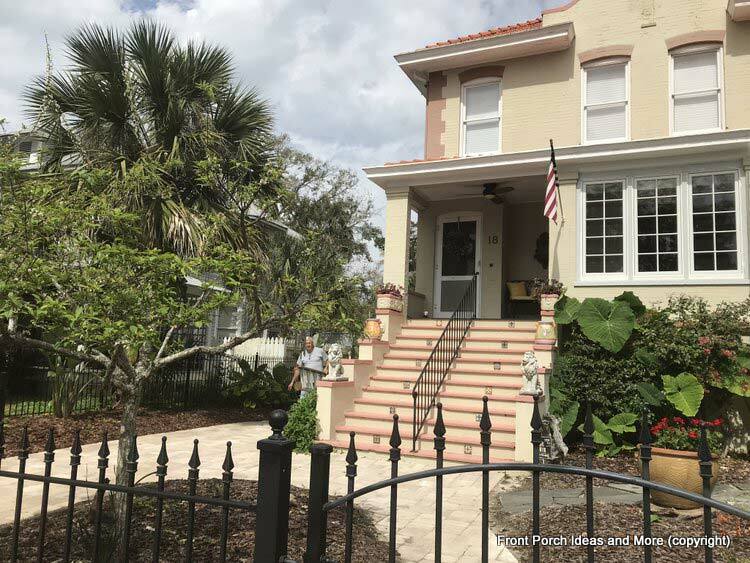 Deland Florida is not only a great place to sky dive (Dave took the plunge), it is also fantastic for front porches. They also look neat from 14,000 feet and falling fast! 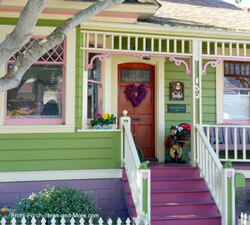 We enjoyed the many streets lined with beautiful front porches in all designs and colors. You'll love the town of Deland as much as we did and wouldn't might going back. Check out our fun trip to Beautiful Deland Fl. 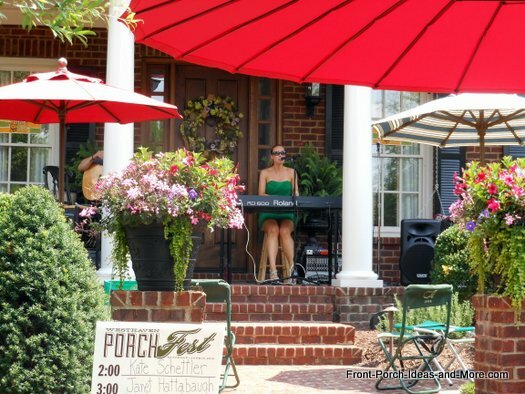 A porchfest is a neighborhood event whereby musicians play a wide variety of music on front porches. Fun for the whole family, people stroll the streets listening to different bands and singers, socializing and creating a sense of community. Mary and I traveled to the Westhaven neighborhood in Franklin, TN., to enjoy their first porchfest. Not only did we enjoy the music, art fair, and other festivities, we also got to see some amazing front porches. See our pictures from Westhaven Porchfest in Franklin, TN. Athens GA is home to the University of Georgia and grand southern porches. Stroll along fraternity and sorority row to capture the true essence of these beautiful homes and front porches. But that's not all. 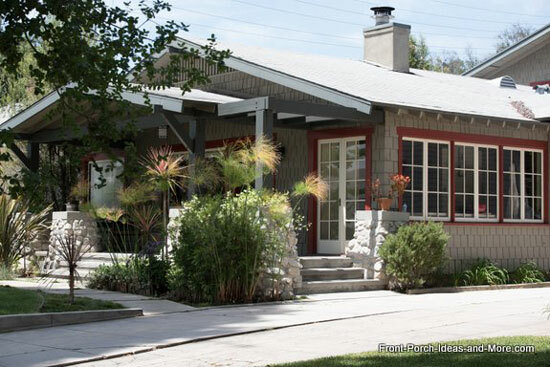 We found a myriad of front porch ideas along the side streets of pleasant neighborhoods. We discovered several front porch ideas we know you will want to see. See our Athens GA Pictures. San Francisco attractions include many world renowned structures, the most famous being the Golden Gate Bridge. 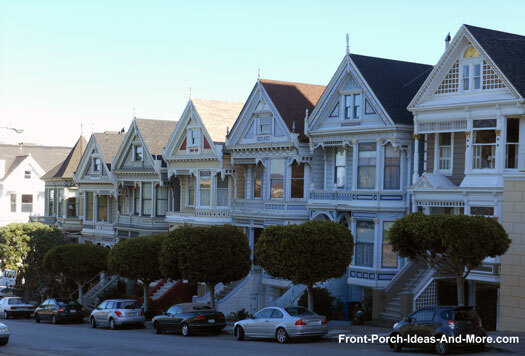 However, it also boasts some of the most beautiful porches like those on the "Painted Ladies". 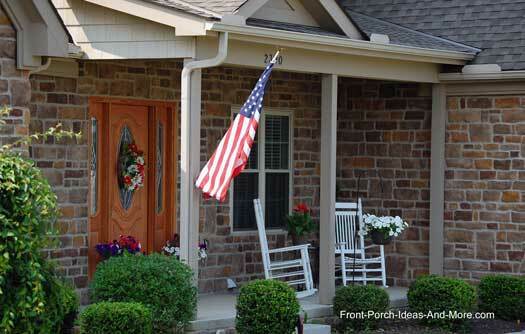 We selected porches with some unique features to give you lots of ideas for your own porch. From colorful Victorian-style homes to enclosed porches, San Francisco has interesting front porches around every corner. See our pictures from San Francisco. Pacific Grove California is home to a massive monarch butterfly migration and fabulous porches. 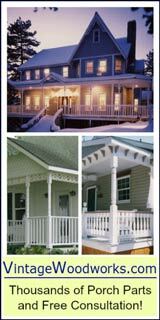 Although known for its Victorian porches, we focused on small porch ideas and they were abundant. 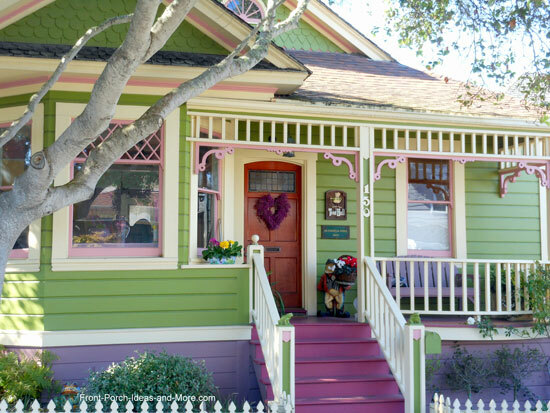 The porches in Pacific Grove were very colorful on restored vintage wooden bungalows. 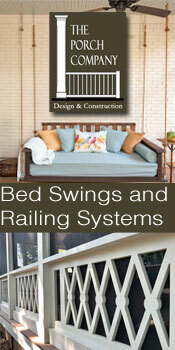 It was evident that homeowners took pride in making their front porches something to behold. 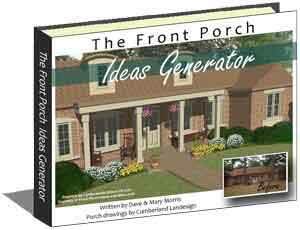 We know you will enjoy the information we share; you will get plenty of ideas for your own porch too. See our pictures from California's Pacific Grove. Sausalito California is a small hamlet just north of the Golden Gate Bridge. It is a vibrant community, rich in picturesque beauty, sailing ships, and wonderful front porches. Be prepared to walk up and down hills as the town is set among the hills of California. Houses, situated beside and almost on top of each other, boast porches of all designs. Interestingly, we found many front porch ideas we believe you will enjoy and possibly use for your porch and home. See our Sausalito California Pictures. Abingdon VA is a quiet community with an illustrious history and not far from the Great Smokies. Abingdon VA is home to the famous Barter Theater, brick sidewalks, and porches loaded with ideas. Rich in history and the arts, you are sure to find a relaxing time in this quaint town. We sure did and enjoyed taking in all of the wonderful porches. See our pictures from Beautiful Abingdon VA.
Lewis Center Ohio is a bustling community on the outskirts of Columbus Ohio. Lewis Center is home to not only tons of shopping but also located near Alum Creek State Park. 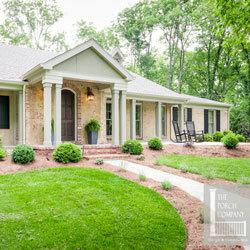 We like the streets lined with well-kept landscaping and of course - porches! 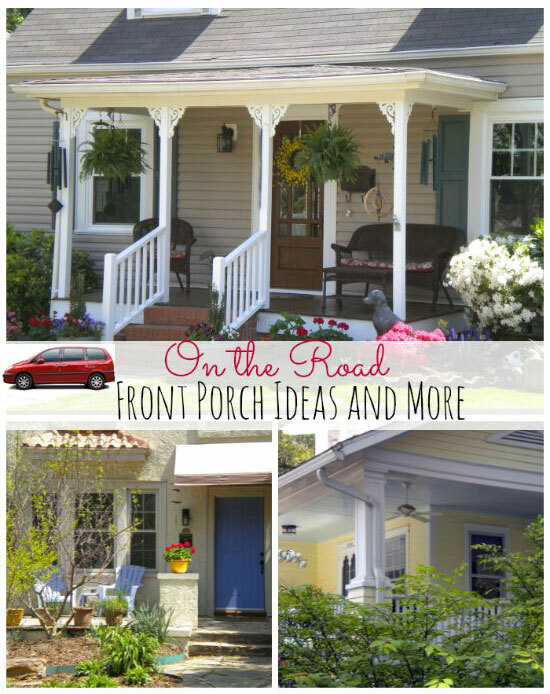 We hit a bonanza of small porches we know you'll love too. See our Lewis Center Ohio Pictures. Powell Ohio is a small historic community about 20 miles from downtown Columbus Ohio. Powell lies in the scenic Olentangy valley and has been named one of the best places to live in the United States by CNN/Money Magazine. 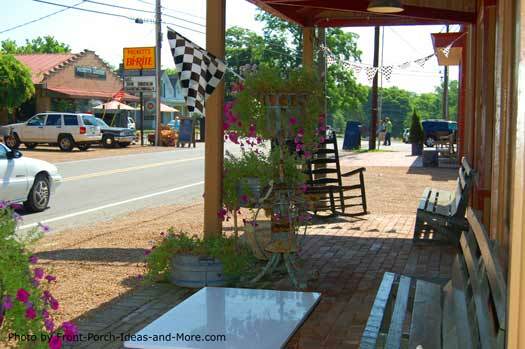 We loved the porches of Powell - many of them being home to local businesses and shops. See our Powell Ohio pictures. Durham North Carolina is home to Duke University and is renown for its medical technology centers. 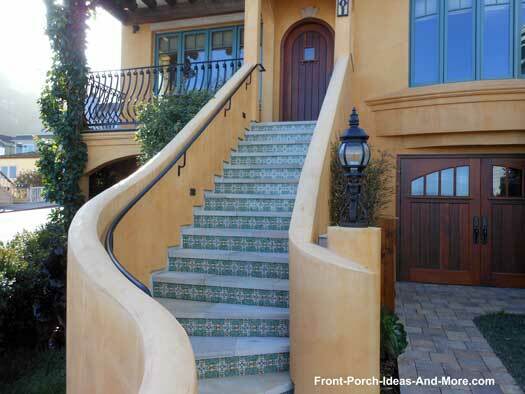 But we love their array of fantastic front porches! 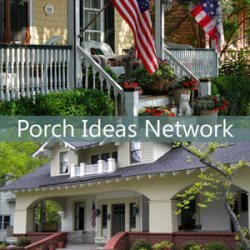 Walking the quiet neighborhoods of Durham and capturing their porches on camera to give you great porch ideas was nothing but fun! See our photos from Beautiful Durham North Carolina. 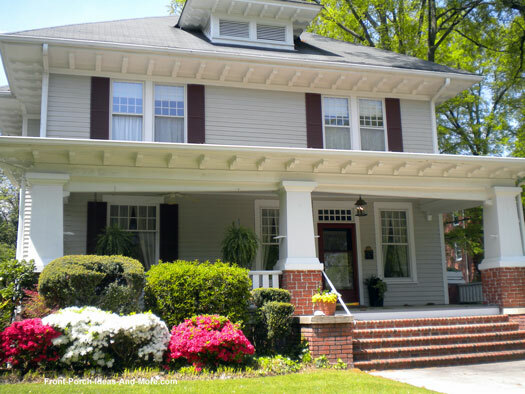 Tarboro is located in central North Carolina, a small quaint community with friendly folks, quiet streets, and fabulous front porches! We tried to capture the serenity of this neat southern town in our photos of their front porches. 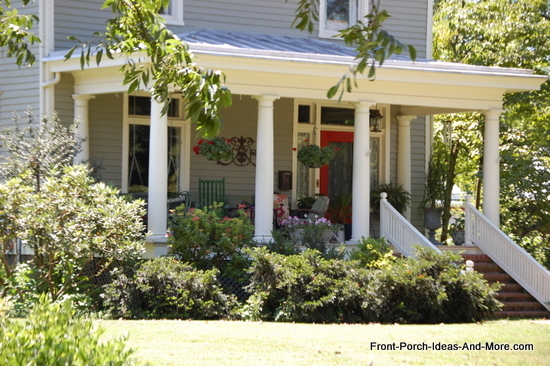 Get some neat front porch ideas from these pictures of Tarboro NC. We discovered Duck, North Carolina on a trip down the eastern seaboard. We enjoyed the beach and the wonderful beach home porches too! Mary and I had a ball walking the streets and taking photos to share with you. 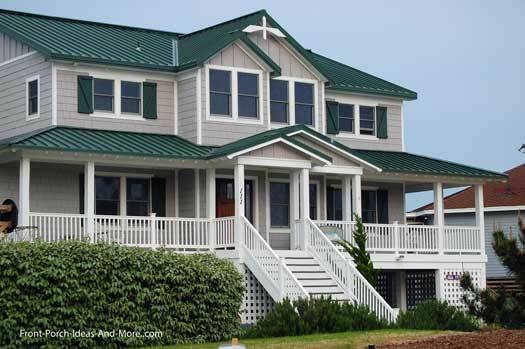 You'll see some amazing homes with grand porches; a nice way to enjoy the beach! See our photos of grand beach porch pictures from Beautiful Duck, North Carolina. 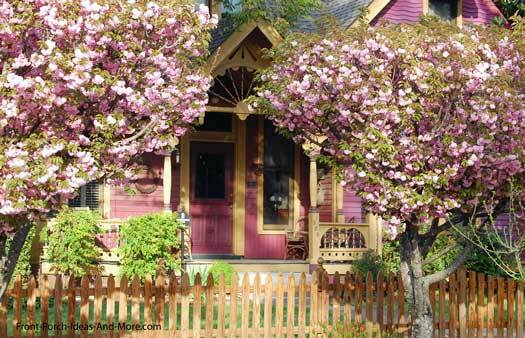 Franklin Tennessee is a quaint southern town whose porches come to life in the spring. Walking the brick lined streets and taking in the sights of beautiful dogwoods and azaleas was sure fun. 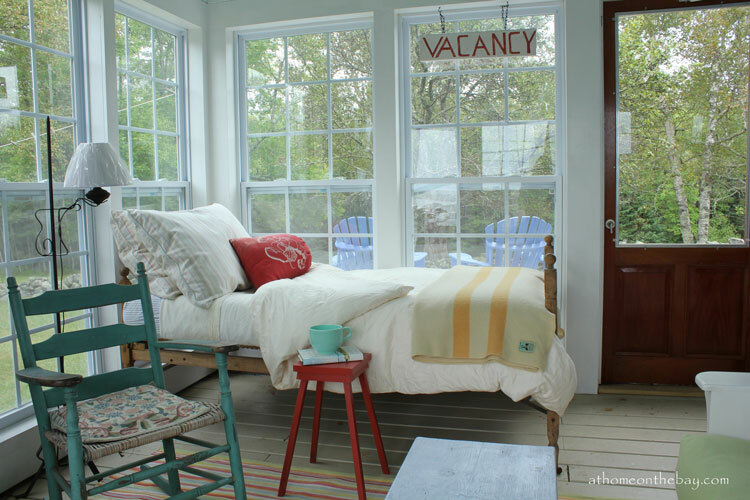 And we got a myriad of porch ideas too! See our photos spring porch pictures from lovely Franklin Tennessee. Cape May NJ is a charming seashore town on the southern tip of New Jersey - with the most beautiful Victorian porches you'll ever see. Dave and I kept pinching ourselves as we walked up and down the streets of this small town. Notice the detailed porch railings, porch steps, blue porch ceilings. Fabulous porch decorating ideas, too. See our lovely porch pictures and our video fromCape May NJ. Just across the Chesapeake Bay from Cape May NJ we landed in Lewes, Delaware where we came upon some wonderful beach homes that, of course, have great porches. Street after street of wonderful beach home plans. Lovely colors. Not your Grandma's beach house - these are high style. We got there just as the sun was setting...magical. See our porch pictures of the beach homes fromLewes DE. 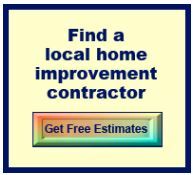 Like beach homes? Check out our beach house design section too. 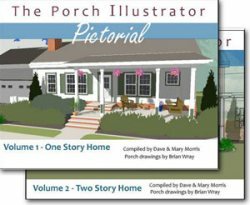 It's easy to find wonderful porch ideas in Winston-Salem, North Carolina. We found oodles of great porches just walking through quaint neighborhoods lined with towering trees and among friendly folks. It was fun seeing how they were furnished and decorated and all of them seemed to say - "come, sit a spell". 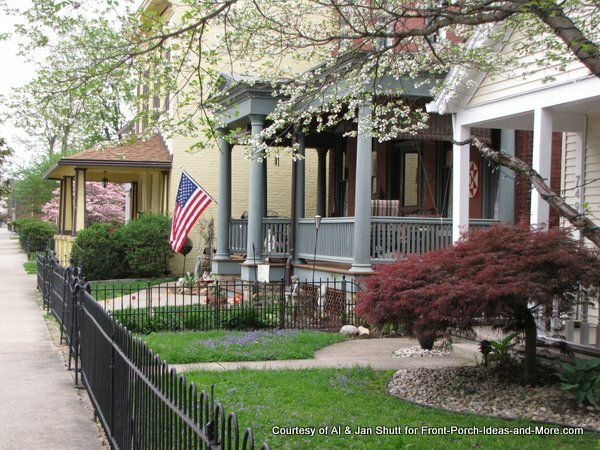 On your next trip through Winston-Salem and Clemmons NC, be sure to turn down the many side streets; fantastic porches await! 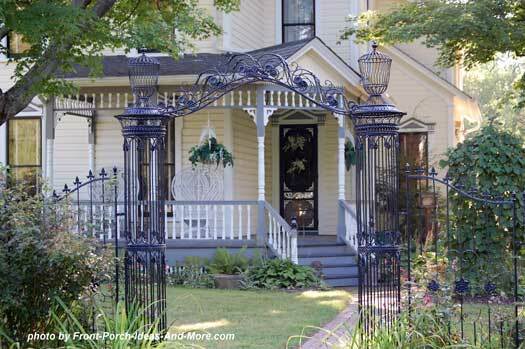 See the porches of Winston-Salem, N.C.
Our friend, Anna, who lives in NC in a most magical craftsman style home introduced us to Blowing Rock. Talk about a place to visit, this is it. A very small town off the Blue Ridge Highway - it's packed with charm and joyfulness. 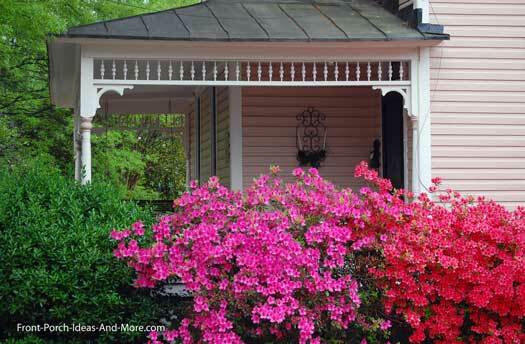 We walked up and down the streets, photographing porches, flowers, inns and the main street. 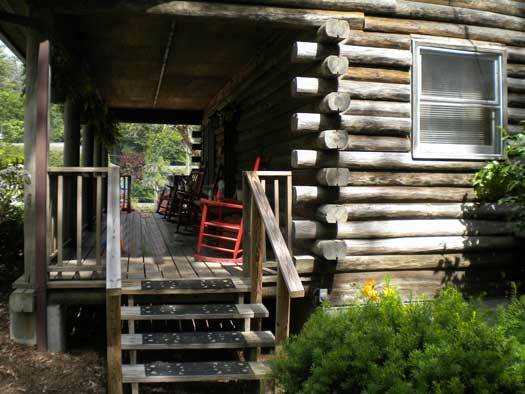 See our porch pictures and video from beautiful Blowing Rock NC. 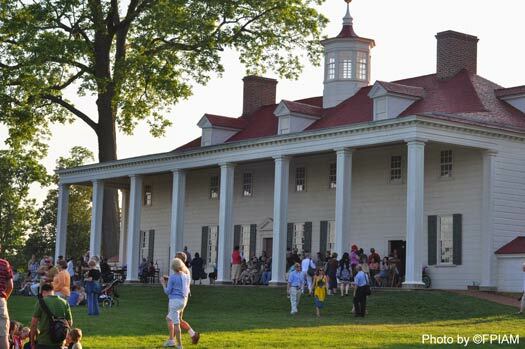 We visited Mount Vernon, Virginia, home of George and Martha Washington. Wait till you see their undeniably beautiful view of the Potomac River. You can't help but notice the stately porch columns and grand size of this magnificent porch. Cozy? Perhaps not, but I would have loved to sit with Martha and George. See more of George and Martha's porch . We visited our home town of Tiffin Ohio to capture the place and porches we knew so well as kids. It was fun seeing what had remained the same and what had changed over the years. Who says you can't go home again! 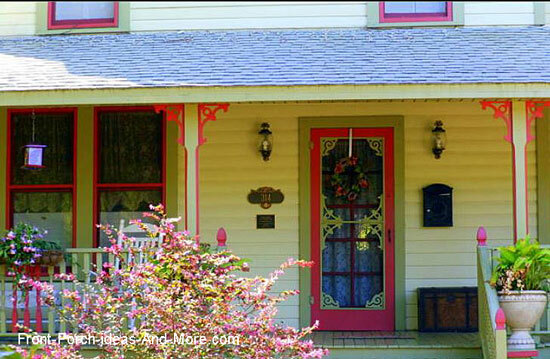 See our porch pictures and video from our home town of Tiffin Ohio. There's nothing like the porches in the South. 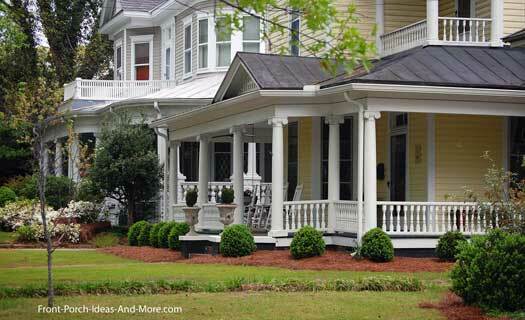 From wide wrap-arounds to side porches, Charleston South Carolina has gorgeous porches! Whether you walk the streets or take a horse and buggy tour, there's a grand porch on every street. 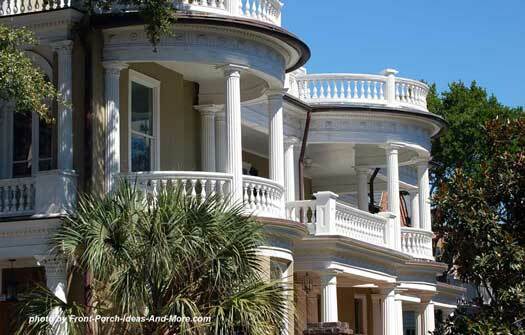 From seafood to history, Charleston is a fun city to visit - and see porches! See our porch pictures and videos of Charleston, South Carolina. Richfield Ohio, a north central Ohio town, has some neat porches. 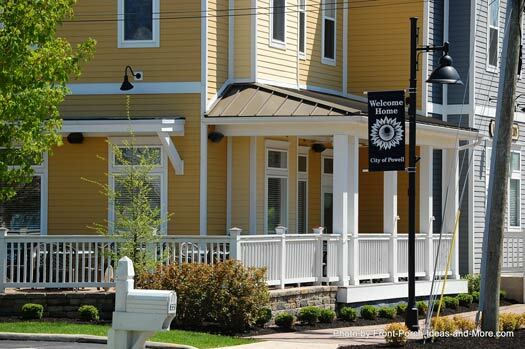 Take a morning stroll through this quaint community and you'll be apt to find many decorated and well designed porches. 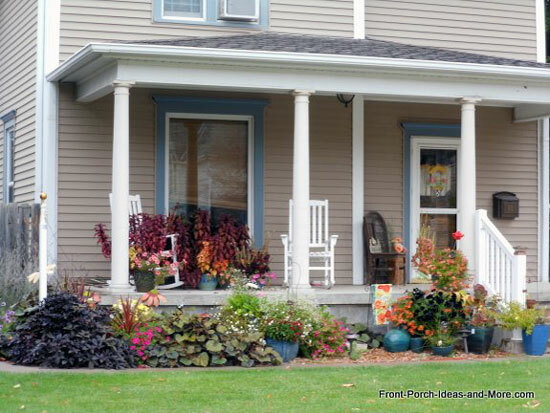 See our porch pictures of Richfield, Ohio. Savannah Georgia is one of our favorite cities for porch ideas. You can't beat the hospitality, parks, and beautifully decorated southern porches. 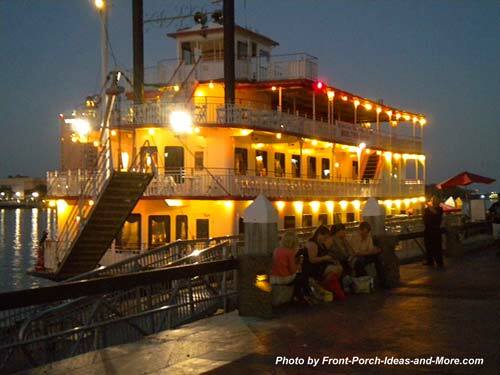 In a short time you might see outdoor weddings, river boats, bagpipe players, and a myriad of front porches! Take some time and enjoy all that Savannah has to offer- we did. See our porch pictures of Savannah, Georgia. 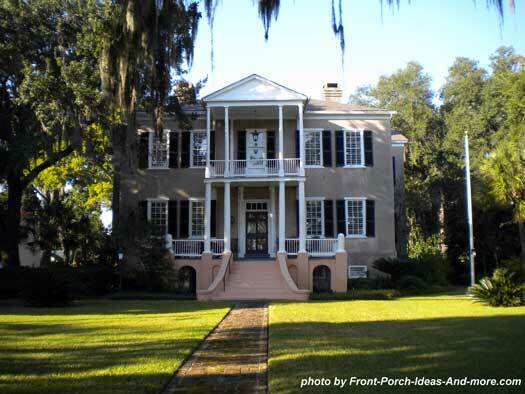 Beaufort SC is a quiet seacoast town that you are sure to love and we love their porches! See our porch pictures of Beaufort SC. Leipers Fork TN is a small rural community just outside of Nashville TN. We love its small-town feel and relaxing nature. Here even the store fronts have cozy porches. If you get the opportunity to visit, take in their shops and art galleries. If you'd like to know how we travel around the country to charming places and get paid to look at beautiful porches, we're happy to share.